The purpose of palliative care is to improve the lives of patients and families who are going through a serious or life-threatening illness by preventing and relieving any pain and symptoms associated with the health condition and medications being taken through spiritual, psychosocial, and physical treatment. Severe health conditions can cause many different physical symptoms such as fatigue, nausea, and pain. You may also experience psychological symptoms such as anxiety and depression. The treatments you are taking can cause even more side effects and symptoms for you. However, through our palliative care, we strive to relieve the many symptoms that you are going through when battling your health condition. Hospice care facilities always include palliative care, as this is a service geared toward improving your quality of life. Palliative care can be used at any stage of your disease or health condition. The main purpose of this kind of care is to ease suffering and help people facing serious and complex diseases live a fuller life. Non-hospice palliative care will not be determined by the prognosis of the disease but rather is offered alongside your medications. 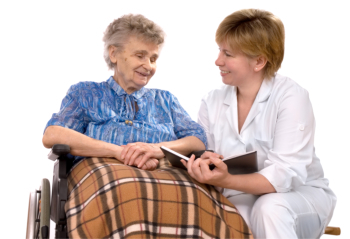 Generally, palliative care is used to alleviate any symptoms that the patient is having. It does not matter if there is a cure or not to the particular disease they are going through. A good example of palliative services is used to relieve side effects from treatments such as nausea that can come from chemotherapy. In the United States of America, there is a distinction that separates general palliative care and hospice care. General palliative care is used to help patients deal with the side effects of a health condition they are going through while hospice care is used to provide relief for patients who are at the end of their journey. Over the past twenty years, the focus on improving the quality of life for patients has increased a great deal. A recent concept that has been developed is to have a dedicated health care team that specializes in palliative treatment, thus creating a palliative care team. We are compounding pharmacists. We work with your doctor in order to develop therapies and treatments personalized to your unique needs to provide you with the relief you need from discomfort and pain. You cannot go wrong with compounded medications because they are custom-made for you so contact us now at 317-548-8015.